Looking to see even more of this amazing city than can be seen via cable car, and hoping to be told more about the passing scenery? 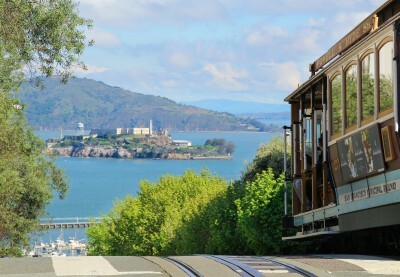 There are so many fun ways of getting around San Francisco in California besides the (awesome!) historic cable cars. Try a Big Bus Tour. Ride up top on the double decker bus to relish the best of San Francisco’s architecture and bright urban landscape as it passes by. Experience a tour like no other with knowledgeable guides that keep the ride light and entertaining. See something you like? Simply get off at any stop with your day pass in order to check out an area or attraction, and head back to the bus stop when you want to continue the tour. Buses are scheduled for a certain departure time from each spot, but another bus comes along about every 15 minutes (an app can also be used to track the next bus on its way). It’s a glorious way to see the city as you learn more about the eventful history of San Francisco. Hoping to stretch your legs? Renting a bike from Bay City Bike Rentals & Tours is another great way of getting around San Francisco. Once on your bike, ride along the marked bike path towards the Golden Gate Bridge, passing much of the bay’s magnificent shoreline along the way. Cycle over the Golden Gate Bridge for a fantastic view of the wide open Pacific Ocean to the west. Follow the designated path downhill towards Sausalito, a quaint little seaside town with many a hip restaurant and patios to quench your thirst, and have a bite to eat after your adventurous ride. While riding back is a possibility, however, San Francisco is just a ferry ride away. You can purchase a ticket at the docks of Sausalito and board the ferry at designated departure times, along with your bike. Being a seaside city, one of the best vantage points to see San Francisco and the Golden Gate Bridge is from the water. 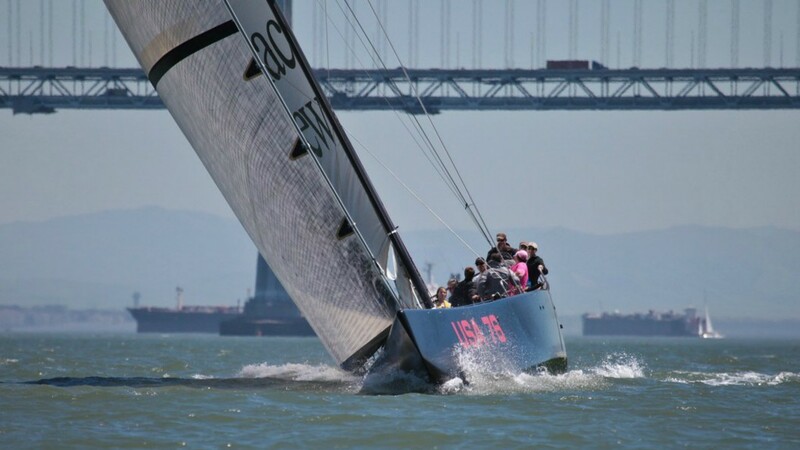 Take a cruise aboard the awesome America’s Cup Sailing Experience on San Francisco Bay where you can pass under the golden gate bridge itself and get up close and personal with Alcatraz Island. If you feel more sportsmanlike, sailing on the USA 76 is a spectacular way to venture out into the breezy bay, see the San Franciscan shoreline, and even have a chance to pilot this beautiful sailboat. If you are looking for a new and fun way to travel about the city, a Segway tour is a great choice, allowing you to explore all the best sights with an experienced guide. There is pre-tour training and practice on the Segway’s to enable you to feel the most comfortable and knowledgeable on riding these neat machines. Using Segway’s provides the opportunity to see more in the span of the tour (they’re zippy!) 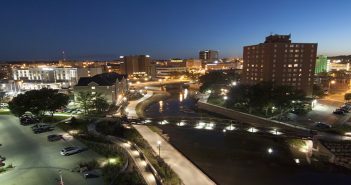 and have plenty of fun traveling between each spectacular destination. 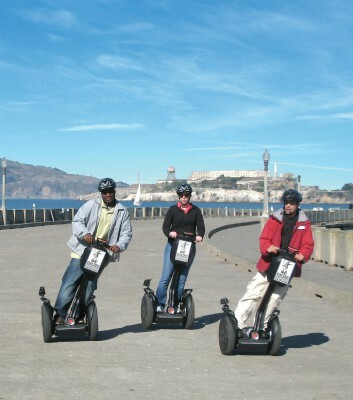 Book your Segway tour with the Electric Tour Company and choose from a wide selection of areas in San Francisco to discover. 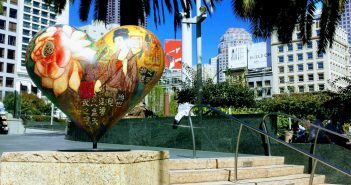 To learn more about these cool ways to get around San Francisco, as well as the city’s many wonderful attractions and points of interest, visit http://www.sftravel.com. Contributor Caleb Dearsley is a free-spirited traveller and adventurer who also just so happens to enjoy the finer things in life.